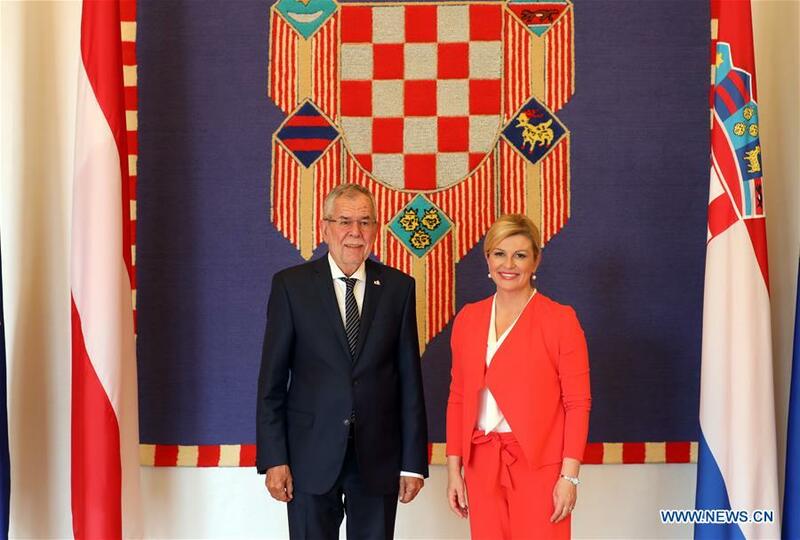 ZAGREB, Sept. 10 (Xinhua) -- Croatian President Kolinda Grabar-Kitarovic and her guest, Austrian President Alexander Van der Bellen, agreed on Monday that the protection of the European Union's borders is in their two countries' mutual interest. Grabar-Kitarovic said that Croatia expects from Austria the support for entering the Schengen Area as soon as the technical part of the job is completed. 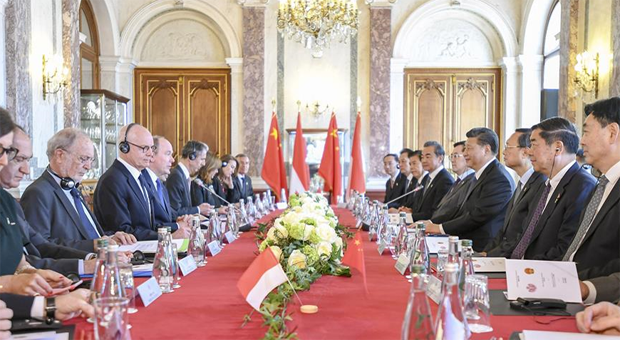 It is Croatia's interest that the new enlargement of the EU includes the Balkans, but all candidate countries must meet the criteria.